Laboratories are among the areas requiring a tremendous care. Air quality is paramount, not only to ensure the quality of products or the accuracy of sampling data, but also to control and ensure a low level of vapors and gases. Since vapors and gases can be in contact with man or any other chemicals, Detekta Solutions’s gas detectors provide you with peace of mind and reliable monitoring. In case of a high concentration of hydrogen (H), acetylene (C2H2) or propane (CH3CH2CH3) in the air, several gas detectors will warn you of any inherent dangers. 301EM is used to optimize gas detection in mechanical rooms and refrigeration chambers. 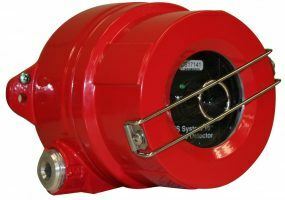 The detection system dedicated to governments and the advanced technology sector ACM 150 detects almost any gases, chemical vapors, and odors at several different points. The flexibility of the HA72 Gas Controller allows you to monitor sets of 16, 32, 48 or 64 channels at a time in one place. The IAQPoint2 allows you to save big without neglecting air circulation in your building. Indeed, with its demand-controlled ventilation and its triple monitoring, the IAQPoint2 reacts in less than 60 seconds. The Manning AirScan iR is a “broadcast” type of sensor and does not require any filter pumps to monitor all detection points permanently. The Manning EC-F9 / EC-FX has the industry’s best performance in regard to ammonia detection technology.